Applications would be welcome from Social Workers in Training who are due to qualify within the next 6 months and whose last placement was in a Statutory Childcare setting. 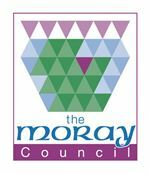 Placement Services in Moray has responsibility for Fostering, Adoption, Kinship Care, Continuing Care, Throughcare/Aftercare and Supported Lodgings services. This post in the adult assessment part of the service will assist in the delivery, development and management of a range of alternative family care placements for children and young people. Dependent on the needs of the service, there may be a weighted responsibility towards one particular service area and, at this point, this post will likely be weighted toward foster care. Assess and review potential and existing providers of alternative family care for children and young people. Assist colleagues in identifying suitable placements for children and young persons requiring alternative family care. Assist in the identification and delivery of training for alternative family care providers. Work as a member of a team. Working in partnership with foster carers, kinship carers, Continuing Care Providers, supported Lodging providers and adoptive parents. Undertake administrative tasks relating to provision of service, including maintenance of electronic recording systems. Engage in supervision and undertake suitable training relevant to professional development. • Significant experience within child care/child protection setting. • Including participation in Looked After and Accommodated processes. • Knowledge of and ability to work effectively within relevant child care legislation and practice. • Strong knowledge and experience in working with attachment theory and impact of early trauma and neglect. • Good assessment and report writing skills. • Good communication and mediation skills. • Significant knowledge of the needs of children with disrupted lives. • Capacity to supervise and support carers in meeting children’s needs. • Support carers’ personal and professional development. • Ability to challenge practice appropriately. • Ability to contribute to service development. • Work flexibility to meet requirements of post (eg. evening work or weekend work). • Ability to work effectively with Area Team Social Workers and other agency staff. • You will be expected to travel efficiently and effectively between various work locations within Moray to meet the operational requirements of the Service. Due to the rural nature of Moray this is normally undertaken by use of a car/van. • Effective communication skills; oral and written. • Ability to work as part of a team and contribute to service development. • Ability to deal with personal stress, and support carers in crisis. • Be reliable and consistent. • Ability to work in busy office, including working in different work bases.